Griffiths, S. J., Koegl, M., Boutell, C., Zenner, H. L., Crump, C. M., Pica, F., Gonzalez, O., Friedel, C. C., Barry, G., Martin, K., Craigon, M. H., Chen, R., Kaza, L. N., Fossum, E., Fazakerley, J. K., Efstathiou, S., Volpi, A., Zimmer, R., Ghazal, P. and Haas, J. (2013). A systematic analysis of host factors reveals a Med23-interferon-lambda regulatory axis against herpes simplex virus type 1 replication. PLoS Pathog 9(8): e1003514. Tahoun, A., Mahajan, S., Paxton, E., Malterer, G., Donaldson, D. S., Wang, D., Tan, A., Gillespie, T. L., O'Shea, M., Roe, A. J., Shaw, D. J., Gally, D. L., Lengeling, A., Mabbott, N. A., Haas, J. and Mahajan, A. (2012). Salmonella transforms follicle-associated epithelial cells into M cells to promote intestinal invasion. Cell Host Microbe 12(5): 645-656. Jing, L., Haas, J., Chong, T. M., Bruckner, J. J., Dann, G. C., Dong, L., Marshak, J. O., McClurkan, C. L., Yamamoto, T. N., Bailer, S. M., Laing, K. J., Wald, A., Verjans, G. M. and Koelle, D. M. (2012). Cross-presentation and genome-wide screening reveal candidate T cells antigens for a herpes simplex virus type 1 vaccine. J Clin Invest 122(2): 654-673. Dolken, L., Malterer, G., Erhard, F., Kothe, S., Friedel, C. C., Suffert, G., Marcinowski, L., Motsch, N., Barth, S., Beitzinger, M., Lieber, D., Bailer, S. M., Hoffmann, R., Ruzsics, Z., Kremmer, E., Pfeffer, S., Zimmer, R., Koszinowski, U. H., Grasser, F., Meister, G. and Haas, J. (2010). Systematic analysis of viral and cellular microRNA targets in cells latently infected with human gamma-herpesviruses by RISC immunoprecipitation assay. Cell Host Microbe 7(4): 324-334. Fossum, E., Friedel, C. C., Rajagopala, S. V., Titz, B., Baiker, A., Schmidt, T., Kraus, T., Stellberger, T., Rutenberg, C., Suthram, S., Bandyopadhyay, S., Rose, D., von Brunn, A., Uhlmann, M., Zeretzke, C., Dong, Y. A., Boulet, H., Koegl, M., Bailer, S. M., Koszinowski, U., Ideker, T., Uetz, P., Zimmer, R. and Haas, J. (2009). Evolutionarily conserved herpesviral protein interaction networks. 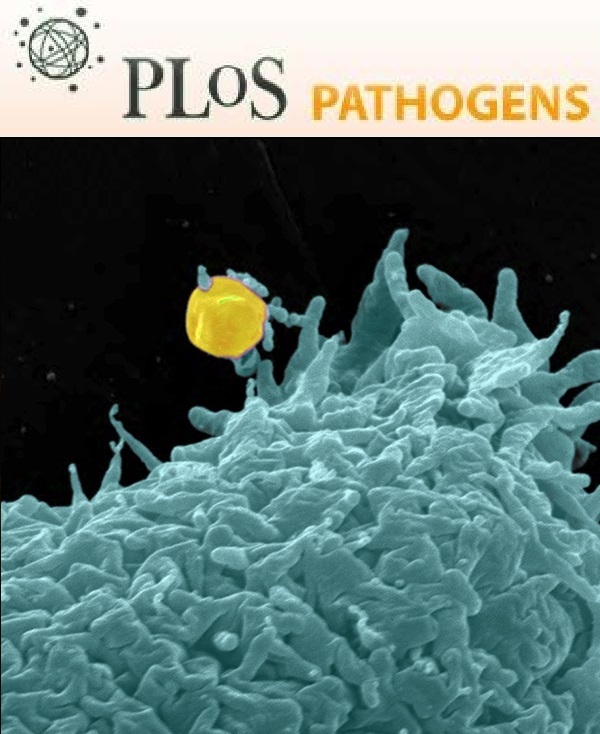 PLoS Pathog 5(9): e1000570. Uetz, P., Dong, Y. A., Zeretzke, C., Atzler, C., Baiker, A., Berger, B., Rajagopala, S. V., Roupelieva, M., Rose, D., Fossum, E. and Haas, J. (2006). Herpesviral protein networks and their interaction with the human proteome. Science 311(5758): 239-242. Muranyi, W., Haas, J., Wagner, M., Krohne, G. and Koszinowski, U. H. (2002). Cytomegalovirus recruitment of cellular kinases to dissolve the nuclear lamina. Science 297(5582): 854-857. Kliche, S., Nagel, W., Kremmer, E., Atzler, C., Ege, A., Knorr, T., Koszinowski, U., Kolanus, W. and Haas, J. (2001). Signaling by human herpesvirus 8 kaposin A through direct membrane recruitment of cytohesin-1. Mol Cell 7(4): 833-843. Haas, J., Park, E. C. and Seed, B. (1996). Codon usage limitation in the expression of HIV-1 envelope glycoprotein. Curr Biol 6(3): 315-324. Haas, J. G., Baeuerle, P. A., Riethmuller, G. and Ziegler-Heitbrock, H. W. (1990). Molecular mechanisms in down-regulation of tumor necrosis factor expression. Proc Natl Acad Sci U S A 87(24): 9563-9567.